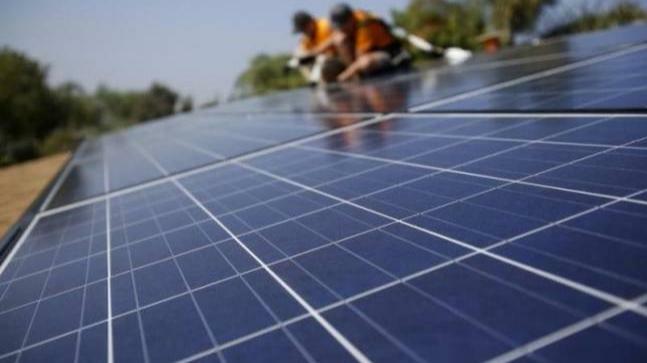 As per New and Renewable Energy Minister R K Singh, the Rs 48,000-crore Kisan Urja Suraksha Evam Utthaan Mahaabhiyan (KUSUM) scheme to promote the use of solar power among farmers would be placed before the Cabinet by March 2018. The Union 2018-19 Budget laid stress on providing means to increase farmers income. In the same context, KUSUM (Kisan Urja Suraksha Evam Utthaan Mahaabhiyan) aims to incentivise farmers to run solar farm water pumps and use barren land for generating solar power to have extra income. The total cost of the capacities under this scheme would be Rs 1.4 lakh crore. The Union Government will provide Rs 48,000 crore financial assistance under the scheme. First is utilisation of barren land by farmers. The government is expecting 10,000 MW under this. For this ground-mounted 10,000 MW, no subsidy would be provided to buy equipment, but discoms would be given 50 paise per unit as generation based incentives to buy power from farmers for five years. Subsidy component will be Rs 4,875 crore. The scheme is packaged in such a way that farmers also get extra income by having extra solar capacity which can be fed into the grid. The scheme will be executed through discoms so that the reach is better. While 30 per cent of the cost of solar pumps was provided by the Government in the earlier scheme. The new scheme would be more broad-based like incentives for discoms to buy power from farmers and financial assistance of 60 per cent to buy solar pumps which would be equally shared by the Centre and state. Fourthly, government departments’ grid connected water pumps would be solarised, involving 2,500 MW. It would take four years to solarise these pumps and the subsidy component would be Rs 5,000 crore. KUSUM will also improve the present scheme for rooftop solar systems. The government is enlarging the scope of the existing scheme and its mechanism and the government is planning of beginning KUSUM with 7.5 lakh solar pumps.